Textbooks used to teach students at ultra-Orthodox schools in Israel portray Reform Jews as the enemy, while seculars, Zionists and leftists also receive hostile treatment, a comprehensive study published last month by the research center IMPACT–SE found. The study, conducted by Dr. Eldad J. Pardo and Tehila Gamliel, reviewed almost a hundred textbooks used in Haredi schools to teach literature, history, geography, civics, science and Bible studies. The study found scathing criticism of Zionism in ultra-Orthodox textbooks: “Late nineteenth century anti-Semitism led to cohesion within the ranks of the assimilators, who created their own organizations. These organizations gave great power to assimilated Jewry, which no one could withstand,” according to History of Recent Generations, a textbook for middle school. Furthermore, the founding of the State of Israel is described as a sin against the Jewish people: “When olim (Jewish immigrants) from Middle Eastern countries came to Israel, something happened that the Haredi community had feared when the state was founded. Political activists, Histadrut (National Workers’ Union) and Jewish Agency emissaries, and other functionaries abused their power and (effectively) distanced the immigrants, especially their children, from their (Jewish) faith,” the same middle school textbook determines. Secular people, according to Haredi textbooks, applied any means necessary to secularize the new immigrants arriving in Israel. “They cut off the payot (sidelocks) of Yemenite children, claiming that they harbored lice; they withheld work arrangements from parents if they refused to send their children to secular schools; and deprived them of all other necessities, such as food, housing, and sanitary conditions,” according to the History of Recent Generations textbook. In two other areas, there were no surprises: the attitude towards women and science and scientific discoveries. Haredi textbooks on nature and science make no mention of Darwin’s theory of evolution, but there is a limited reference to important scientific discoveries, with an emphasis put on the religious and miraculous aspects. Behind every discovery stands the Creator, and clues can be found in the Bible for every invention. Women, meanwhile, have seen a change in their status in recent years as they became the main providers in the Haredi home while the men went to study at the yeshiva. 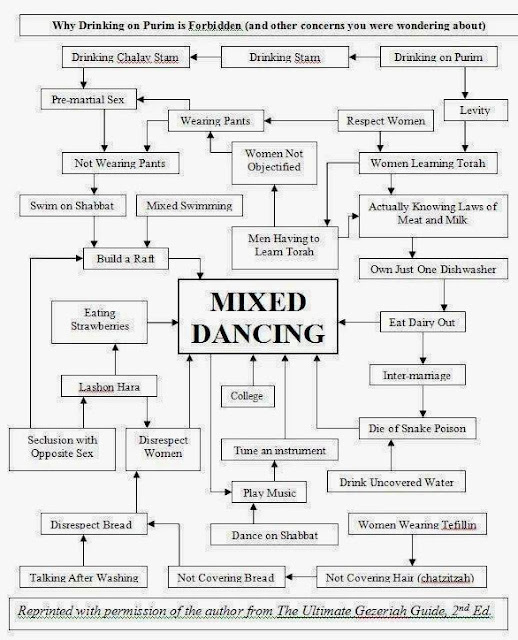 This is also how women are portrayed in ultra-Orthodox textbooks. 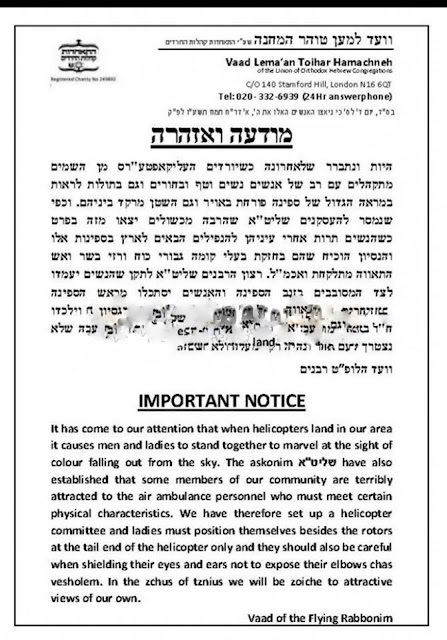 However, the most prominent aspect in Haredi society’s treatment of women is their exclusion from the public eye. 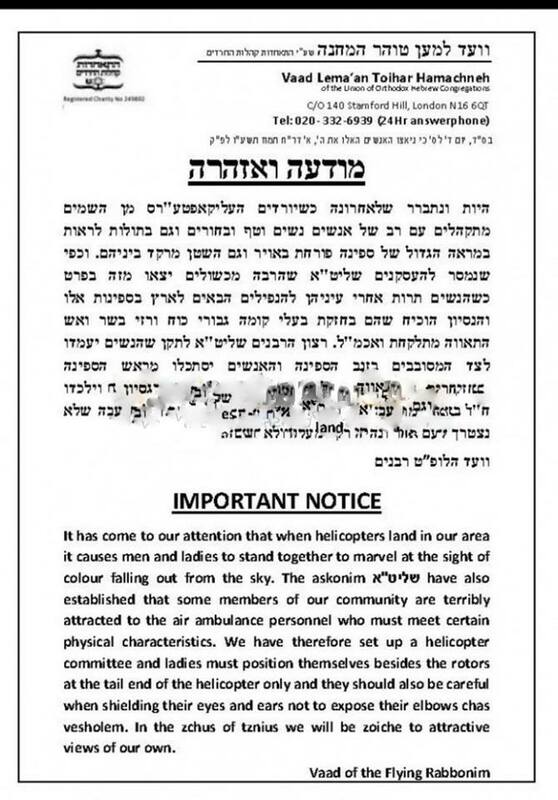 The ultra-Orthodox attitude toward women is succinctly described in the saying “All glorious is the King’s daughter within.” And so, there are no photos of women in Haredi textbooks, though there are drawings depicting women. One absurd example of this exclusion appears in an English textbook for the second grade, where students are asked to answer questions about family relations. The book features two photos—one of the male members of the family, and the other of the female members of the family. But instead of the women, the photo presents empty chairs. Meanwhile, textbooks from the state education system or the state-religious education system, which come out in special editions for the ultra-Orthodox sector, mostly censor drawings and photos and exclude any mention of boys and girls coming into contact. None of the textbooks examined in this study make any mention of Mizrahi rabbis or the historical events and the rich Jewish culture in the countries of the Mediterranean basin. Sephardic rabbis of the older generation, such as Solomon ibn Gabirol and Judah Halevi among others, are covered extensively in Haredi textbooks. But from the end of the Sephardic Golden Age to this very day, Haredi history textbooks focus almost exclusively on the Ashkenazi community. 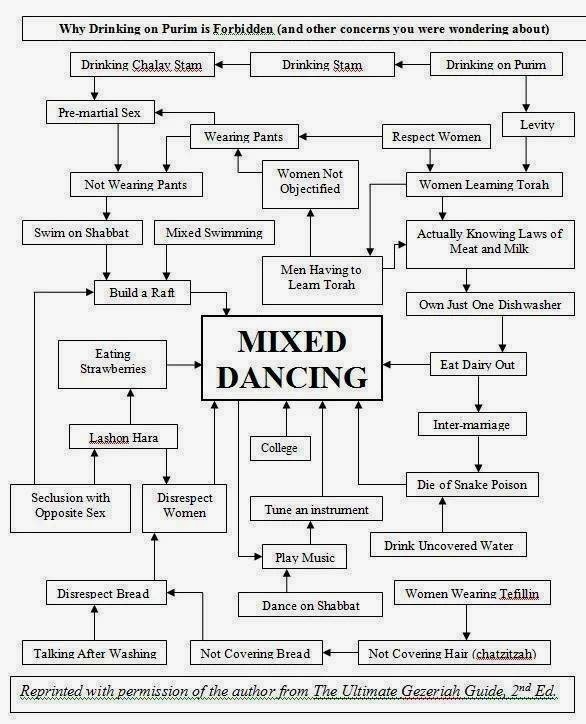 If this was the case only in the Ashkenazi ultra-Orthodox education system, which is known for its racist tendencies, that would be one thing. But it appears even at schools belonging to the Shas Movement—which claims to represent the Sephardic Haredi Jews—textbooks appear to ignore Mizrahi culture. The study found that teachers at Shas’s independent El Hama’ayan (“Towards the Fountain”) educational network use textbooks written by Ashkenazi Jews, which deal only in the Ashkenazi cultural world. And when Mizrahi Jews are mentioned in the textbooks examined in the study, it is done in a condescending manner. For example, “Bracha with Bracha,” which appears in the fourth-grade textbook Our Childhood, tells the story of a father from an Ashkenazi family who starts working as a teacher at a refugee camp and tries to help the parents of his students find work. Bracha, an emigrant from Yemen, comes to work at the Ashkenazi family’s home as a laundress. While Bracha is industrious and thorough, she also quite chatty. “When I was 23, I already had five children, may the evil eye not affect them, because in Yemen women were married off very young, practically girls. And that was so the gentile neighbors won’t want, God forbid, to marry them. I was also married when I was about 14, and now I have 10 children,” she tells one of the family’s daughters. Other than briefly mentioning the absorption problems experienced by emigrants from Muslim countries in the State of Israel’s early days, the Ashkenazi education system—both Lithuanian and Hassidic alike—hardly touches upon the discrimination of Mizrahi Jews in Israel, and significant events like the Wadi Salib riots or the Israeli Black Panthers Movement are not mentioned at all. Furthermore, while the textbooks are filled with stories about the foundation of Haredi yeshivot in Israel, there isn’t a single mention of a Mizrahi yeshiva, not even the Porat Yosef Yeshiva, which is the leading yeshiva in the Sephardic Haredi sector. Even Rabbi Ovadia Yosef, the most prominent religious leader and ruler among Sephardic Jews, is missing from Haredi textbooks. While the textbooks examined in the study deal with many influential rabbis, they are all Ashkenazi. Rabbi Yosef’s photo only appears in one textbook, and even then it appears as part of a story about another, Ashkenazi rabbi. IMPACT–SE, which is based at the Hebrew University in Jerusalem and was founded by Middle Eastern affairs expert Yohanan Manor, will soon mark 20 years of research work, almost all of which is dedicated to analyzing the content of textbooks, particularly in Arab nations. All of the institute’s studies are based on a condensed version of UNESCO’s standards for peace and tolerance in school education. The report about the Haredi textbooks, meanwhile, is the first of its kind. The study, which examined 93 textbooks used in all grades over the last year, took months, mostly due to difficulty in figuring out which of the books were actually taught in the ultra-Orthodox education system. Furthermore, ultra-Orthodox education differs in the Lithuanian, Hassidic and Mizrahi sectors, making the study even more challenging. Rabbi Bezalel Cohen, the founder and head of the Haredi high school Yeshiva Chachmei Lev, knows these textbooks well. “The Haredi narrative is very clear, and continues throughout history,” he explains. “Those who left the tradition—the Jewish Enlightenment, Zionism, the Reform Movement—they are all a direct continuation of the Hellenists. “This is exactly what we’ve been seeing recently with the Reform Movement and the Western Wall crisis, or the conversion crisis. The ultra-Orthodox are confident that anyone who thinks differently does so out of malice, stupidity, or indifference toward the Torah, piety, and the people of Israel. And that is a problem,” he continues. What kind of impact does this narrative have? A lot of this "study" is garbage intended to just bash Charedim. For the parts that are accurate, I am not condoning racism against Sefardim, but the situation in Israel is a bit difficult for Jews in the Diaspora to grasp because they are used to a different, mostly higher class & educated type of Sefardim. A higher percentage of Sefardim in Israel act very peasant-like & rub people the wrong way. The primitive ones can be compared on some level to the Marmorosher hillbillies of the Unterland.